This is the book I ordered to test Chipmunka's ebook ordering, and email delivery system. I ordered Mr. Ellerby's book specifically because I thought by the description, it would be similar to the essay I had written. However, it is much different, and completely unique. Mr. Ellerby goes into great detail about what it is to be dillusional and paranoid to the point of being frozen in fear, even though a sane, rationale person can immediately tell there is no real danger. 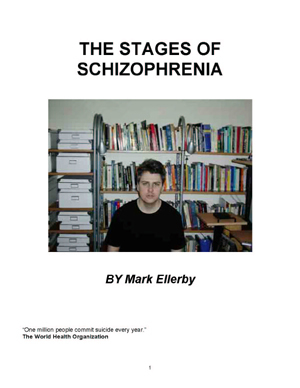 I recommend The Stages of Schizophrenia to anyone suffering through this diagnosis, or anyone who has a friend or relative suffering through it.